Self-driving cars, suborbital space tourism, human head transplants… Pfff! We’ve seen the future, people, and it looks like this: 3D cocktail garnishes. 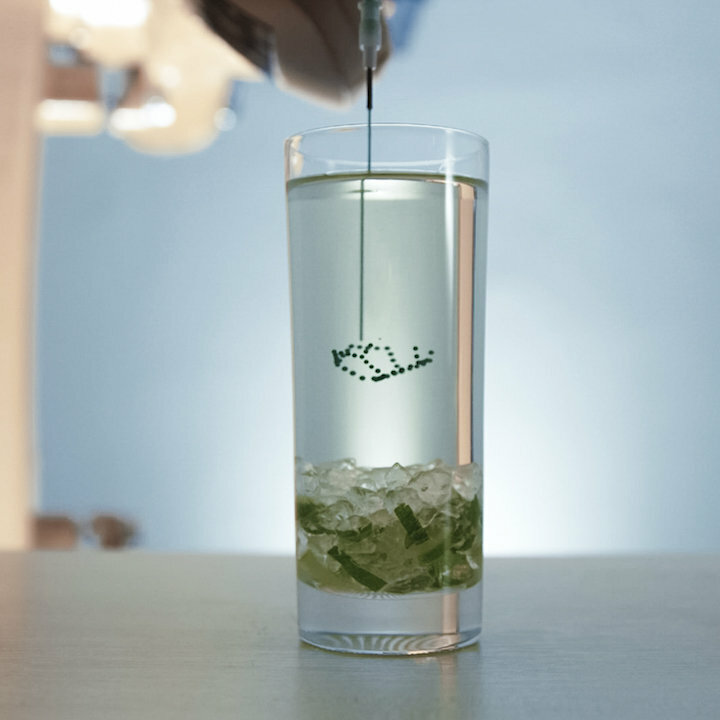 At a recent tasting event in New York City hosted by Scotch whisky brand Auchentoshan, guests got an eye full of what might just be the next wave in drink tinkering, a machine that builds three-dimensional garnishes straight into your cocktail. 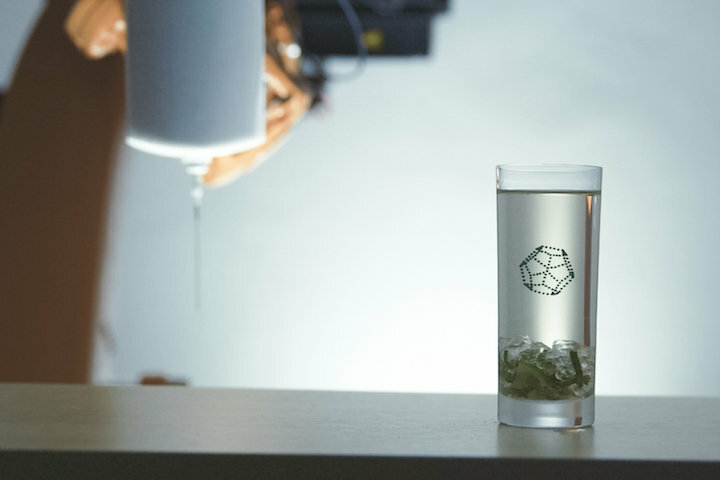 Here’s how it works: A gleaming white robot arm perched at the end of the bar injects — by way of a long and not unintimidating needle — tiny dots of gelled liquid straight into the middle of your drink. Within seconds, a fully formed globe, pyramid or dodecahedron appeared, suspended in the cocktail. Even when guests swirled and tilted the glass, the tiny pieces stayed together, like a well-behaved lava lamp. The show came courtesy of Austrian start-up Print a Drink, whose founders came up with the technology while still in college. We realized no one had tried this particular technique with food, said co-founder Benjamin Greimel. And we thought it would work very well for cocktails, so we created it.